Italy has a large number of magnificent castles open for public viewing and even as hotels. In the last ten years, the country has transformed castles as stay-in apartments for tourists. While not as scary as visiting the famous haunted castles, being near a volcano can also be quite thrilling! Nonetheless, if you are interested to only tour around castles, then you should upgrade your experience by finding those near volcanoes. Ancient families have considered regions that are near volcanoes to somehow enforce new defense for their town. Apparently, Italian castles have become representations of the noble families’ power over an individual province or area. The word Palace is also a word used to describe the significant properties. The name comes from platinum, a Latin word that points to the hill where emperors of Rome had built their homes. There are tons of reasons why you should visit this place. Primarily, you will enjoy excellent accommodation in the castle. Moreover, you can even learn about wines during your stay. Banfi Piemonte is known for producing the famous sparkling wine of the town. The making of wine in the area is rampant as portrayed by vineyards surrounding the historical construction. The castle is near many volcanoes that Tuscany is well-known for. 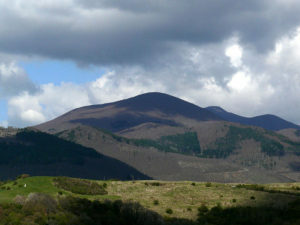 Among its greatest volcanoes is Amiata. The size of the volcano is twice the height of the tallest mountain in the area. 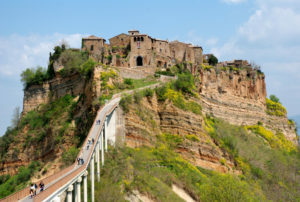 You can find it around 80 km from Siena, following a southerly direction. The last known activity of Amiata is 200,000 to 300,000 years ago. If you have always loved a panoramic and naturalistic type of vacation, the volcano trip will give it to you. You can enjoy spending the day while having a great view of lush greens and whole nature. This is also called Castello Aragonese. The old construction is found near one of the Phlegraean Islands – Ischia. Its exact location is at the Gulf of Naples’ northern end. Unlike Banfi Castle, the Aragonese Castle stands on a rocky islet of a volcano. According to historical records, it was built by Hiero I of Syracuse in 474 BC. As a tradition, towers were developed for the castle to manage the movements of fleets owned by enemies. Romans captured the fortress in 326 BC and was followed by Parthenopeans seizing the place. The prominent castle has been a venue for celebrity weddings, particularly between Petra Ecclestone and James Stunt; Eros Ramazzotti and Michelle Hunziker; and Tom Cruise and Katie Holmes. It is found in the province of Rome, Lazio and records show that it was built in the 15th century. Aside from serving as a home to its owner, it has a structure made for the military defense of the feudal families in the period. The castle is considered as one of the most preserved castles in the country. Aside from serving as a center of cultural events, a museum is also housed in the property. The castle is 30 km away from Rome and 3 km from Bracciano town. It rose on the Lago di Bracciano’s southern shore. The castle is near Alban Hills, which is the place of the dormant volcanic complex of the country. The dominant peak of the compound is Monte Cavo, a volcano that stands at 950 meters but is is not the highest among the volcanoes of the site. It was examined that most recent eruptions of the volcanoes are around 36,000 to 39,000 years ago. Etruscans were known to have established the first settlement in the castle more than 2,500 years ago. There are several reasons why you should visit the site apart from its hundred-year-old construction. You will love the castle’s balancing construction, panoramic views, and great surrounding nature. Presently, the castle is considered as one of the most endangered sites in the world. This is why it requires a preservation plan to restore its varied history. Besides the fact it is somehow a town balancing on top of a stiff mountain, the castle is also near to Mt. Salette, which is found in Viterbo Province, Latium, Italy. This is often called the New Castle or Maschio Angioino. 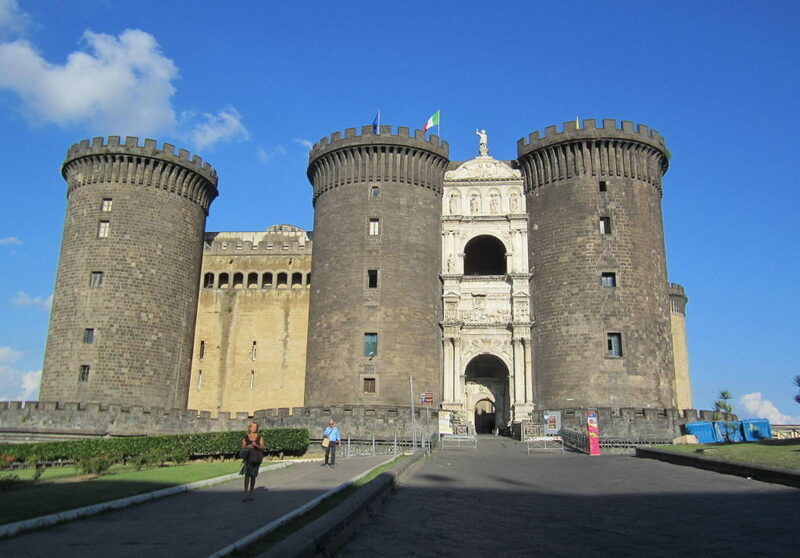 However, this is a medieval castle that you can find facing the Palazzo San Giacomo and Piazza Municipio of central Naples. It was first built in 1279 and at present, still the city’s most visited landmarks. Charles, I of Naples was responsible for ordering the development of this castle when the capital of the country has to move. From 309, King Robert improved and expanded the castle. It even became a center of special events and arts. Louis I of Hungary seized the castle in 1347 and was further reconstructed for Queen Joanna I returned. The castle is near the Campi Flegrei volcano. The past year indicated the reawakening of the volcano and the possibility of it reaching a critical pressure level. Castles of Italy are almost everywhere, even on top of or near volcanoes. This shows how superior families in ancient times have exerted mass efforts in indicating their power. In every way possible, noble groups find ways to strengthen their defense using their abode.